A Southern tradition perfected! Robust and smooth, our Southern Sweet Perfect Iced Tea has just the right amount of natural cane sugar for a distinctively Southern sweet taste. Includes 30 K-Cups. A Southern tradition perfected! Robust and smooth, this sweet treat features bold, black tea and a generous helping of natural cane sugar for a distinctively Southern approach to sweet tea. 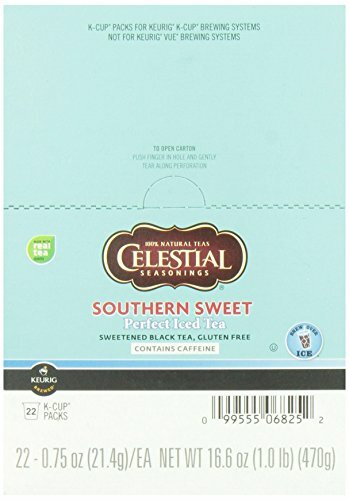 This Southern Sweet Perfect Iced is true Sweet Tea - an ideal balance of black tea and all natural cane sugar.. Instructions- 1. Fill a tall (16-oz) cup with ice and place under brewer. Do not use glass. 2. Choose the 6-oz or 8-oz button. 3. Brew directly over ice. Stir and enjoy! A southern tradition perfected! 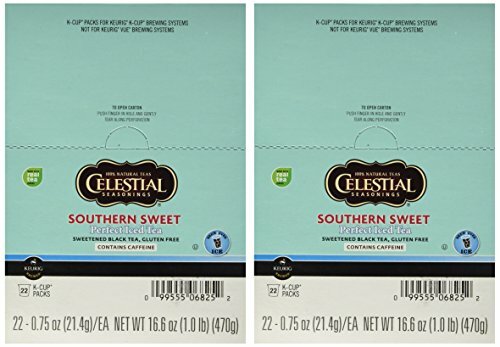 Robust and smooth, this sweet treat features bold, black tea and a generous helping of natural cane sugar for a distinctively Southern approach to sweet tea. 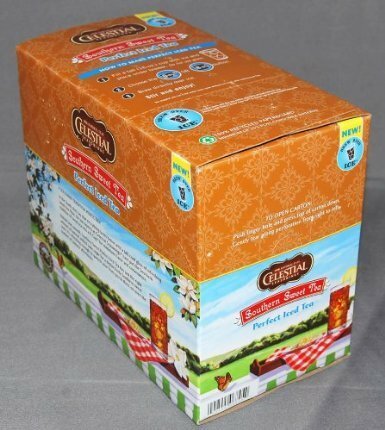 The Keurig single-cup brewing system uses a special packaging for coffee, tea and hot cocoa called K-Cup portion packs or "K-Cups". Each K-Cup is an airtight, mini-brewer that locks out oxygen, light, moisture and humidity while locking in freshness and flavor. Simply insert the no mess K-Cup into the brewer and hit the brew button for a fresh-brewed, perfect cup of coffee or tea in under a minute. 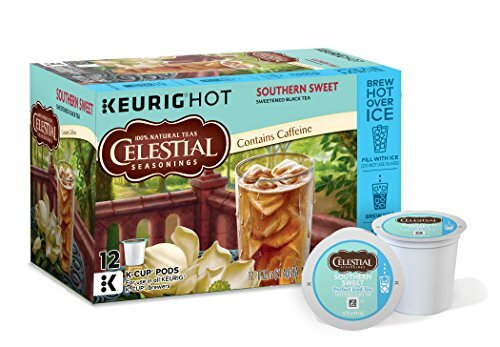 Celestial Seasonings Perfect Iced Tea Southern Sweet Tea K-Cup Pods 88ct case is a great way to enjoy 88 servings of traditional Southern-style Sweet Tea brewed from your Keurig K-Cup Pod brewer. 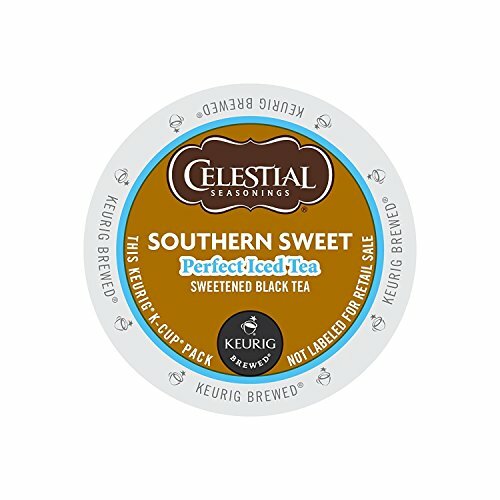 Celestial Seasonings Southern Sweet Tea K-Cup Pods brew a traditional glass if sweet tea right over ice thanks to being packed with the ideal amount of black tea and natural cane sugar. 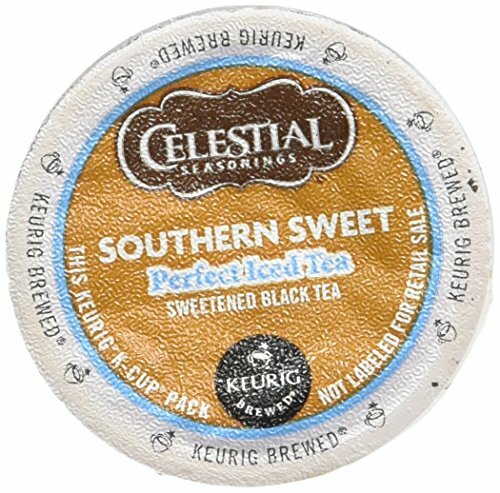 For Perfect Iced Tea, try Celestial Seasonings Southern Sweet Tea K-Cup Pods. 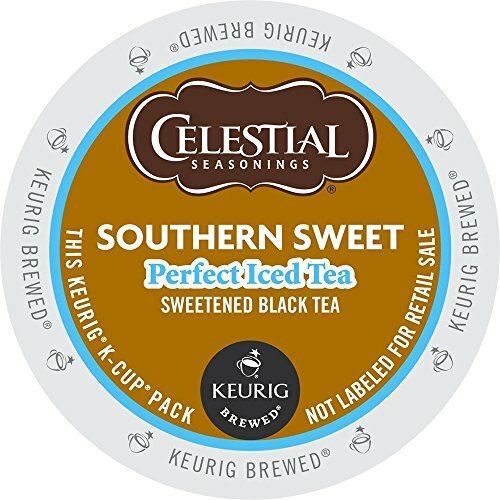 Compare prices on Keurig Celestial Sweet Tea at ShoppinGent.com – use promo codes and coupons for best offers and deals. Start smart buying with ShoppinGent.com right now and choose your golden price on every purchase.